Remember the teacher that made potentially boring stuff interesting by telling stories and talking about their life experiences? You get to be that person in a “How To” video! You get to be the eccentric teacher! and you’ll surprise yourself with the depth of your own life experience and stories. It’s a relatively tame way of practicing public speaking without having to deal with… well real live people… It’s like the virtual version of public speaking. This is a big win for introverted nerdy types like myself. We’ve all looked up how to do something online and we will continue to do so for the rest of time (until something more awesome than the internet comes along.) Everybody uses online video tutorials… Ask the person near you right now! I bet they just watched one. I learned I’m a serious hand talker and that I say “like” too much. For me this is good… Even if it’s a little uncomfortable to watch at first. Learning new things about yourself can be scary… but in this case scary is good. After we put out our first “How To” videos people were very quick to request what they wanted to see next. This is great because it creates new ideas for videos that you never would have considered. We already have a list of the next 10-20 videos we want to do thanks to suggestions. Powerful internet! This video only took an hour to film and a few hours to edit … and we can all agree that finishing projects is one of the best feelings in the world. A “How To” Video is a very easy way to produce some content and have that feeling of “Sweet! I get to share something on the world wide web…” Your ego will love it. Maybe someone who just bought a brand new pair of rollerblades is googling how “How to Stop on Rollerblades” and they stumble across a video on how to “swivel” on rollerblades. It might open them up to a whole new way of using skates that they would have never thought of. Everybody wins when somebody discovers a new way of doing something. I had people asking me if they needed special skates or a special setup to spin around on rollerblades. It sparked a conversation where I could reference other videos and discuss the video more in depth with people I’ve never met… and isn’t that why the internet is great? 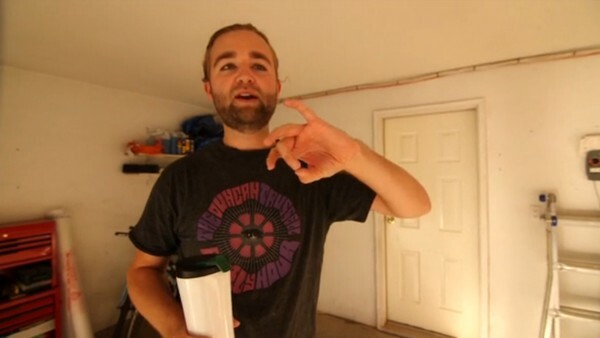 Joey has been described as a filming and editing wizard. After getting his education from The Art Institute of Vancouver, Joey brought his talent to Cloud Nine Creative studios in Vancouver and later helped launch Joy Factory films here in Kamloops. He’s worked with a wide variety of companies including K2, NRI, Tourism Kamloops, Mint Records, the TNRD and many more.